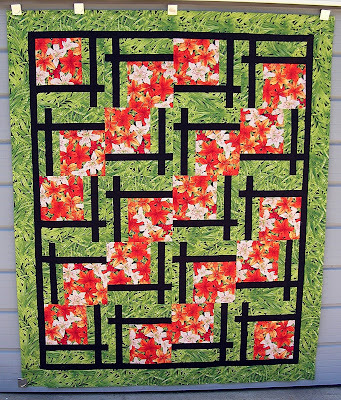 This entry was posted in 4-Patch Stacked Posies, BQ2, flimsy, warm wishes by Norma Hanson. Bookmark the permalink. Love the flimsies. Each one is beautiful. You also have a most excellent design wall! LOL. It works! Wow…they are all lovely..especially like the first one.. They are all beautiful. You made good decisions on the borders. Well done! Dontcha just love the warm wishes pattern. We’ve made quite a few here and they always look wonderful! Love yours. They all turned out very nice! 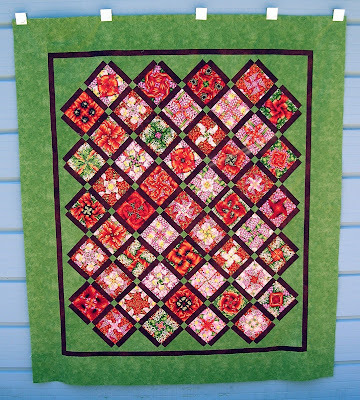 The poppy quilt looks great with that green as the border. I think it definitely would have been too busy if you had used the poppy fabric for it. All the flimsies turned out great! Can hardly wait to ‘see’ what quilting designs you choose! I think anyone looking at these quilts would think one of the two things–first, what a productive time you hae had sewing lately (hurray for you there) and 2nd, you must really like green, LOL. 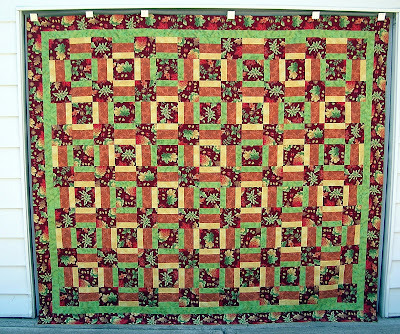 I am glad that you have been able to take some time off from the customer quilts and rev up your creative motor a bit. Oh Great work! I love the pattern used in the top one and the colours in the 2nd one are beautiful. I had already said I liked the lilies. Great design and display wall – better than I have got.